If you have difficulty or pain when swallowing, such as feeling that the food gets “stuck,” you may need to see a healthcare provider. Other signs and symptoms that should send you to a doctor include unexplained weight loss, chest pain, choking, dark colored stools or vomiting blood. Endoscopy to evaluate the esophagus. Esophageal manometry to measure muscle contractions fo the esophagus. Ulcers in the esophagus from stomach acid. Stricture from acid damage, resulting in scarring and narrowing of the esophagus. For mild cases, dietary changes can be effective, as can antacids or histamine antagonists. Lifestyle changes can also be effective, such as weight loss, and raising the head of the person’s bed 6 to 8 inches. Those suffering from acid reflux or heartburn should quit smoking, avoid large and late meals, and avoid tight fitting clothing. For moderate to severe cases where lifestyle changes have not been effective, prescription medication is given. Most patients are given a proton pump inhibitor. Surgical treatment is sometimes the best options for severe cases. 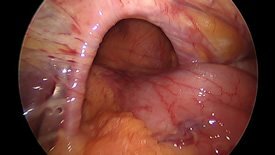 The most common surgical treatment for acid reflux is laparoscopic Nissen fundoplication, which helps strengthen the lower esophageal sphincter. Heartburn—for many an annoyance after big meals and greasy American staples like burgers and fries. But often heartburn is a more serious matter, disrupting sleep, affecting eating patterns, and even causing frequent and intense pain. Chronic heartburn can actually cause ulcers and even cancer if it goes unchecked. You may be among the 20 percent of Americans who suffer from heartburn at least once a week, but you need not be in light of widely available treatments. With an understanding of what causes the condition and how to combat those causes, you can ameliorate your heartburn and prevent serious consequences. Heartburn is all a matter of acid and valves. Your body relies on powerful acid in your stomach to break down food into the nutrients it needs. The stomach is equipped with a strong lining to prevent the acid from harming it and valves meant to keep that acid away from more fragile organs. One of these organs, the esophagus, is the tube that brings chewed food from your throat to your stomach and it has one of these valves that connects it to the stomach. Normally the valve allows food to go into the stomach, and then closes so the stomach acid doesn’t get into your esophagus. However, for people who suffer from heartburn, this valve muscle becomes weakened, making the valve lax, and will allow acid into the esophagus, causing the painful burning sensation known as heartburn. Other circumstances that temporarily weaken the valve are: chocolate, peppermint and citrus fruit. High fat foods, heavy meat, slow emptying of the stomach, large meals, eating close to bed time and carbonated beverages are other things that can cause heart burn. Obesity causes extra pressure against the valve and can make heartburn worse. Smoking also plays a role. Frequent heartburn may mean you have acid reflux or gastroesophageal reflux disease, also known as GERD. GERD can also be treated with simple lifestyle changes, such as in diet, timing of food consumption and other behavioral changes. When these changes, along with medication, do not work, surgery is an option. 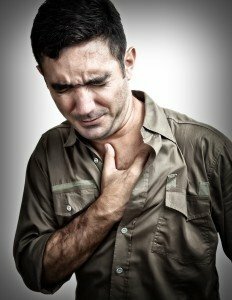 This acid reflux can cause severe inflammation of the esophagus, called esophagitis. The esophagus can also become strictured, or have other physical changes, such as with a disease called Barrett’s esophagus. These are other factors that might make surgery the right option. Heartburn surgery involves either open surgery or laparascopic surgery, which is less invasive and usually the better option. A common technique that has been successful patients is to wrap the top part of the stomach around the lower part of the esophagus, sewing it into place. This procedure tightens the lower part of the esophagus, which helps prevent the movement of acid from the stomach into the esophagus. Sometimes patients experience side-effects from this surgery, but it has a high success rate. Additionally, modern medical science is consistently making improvements. A new procedure recently approved by the FDA involves inserting a magnetic bracelet-like device to control acid flow, and has shown promising clinical results. If lifestyle changes haven’t resulted in sufficient improvements to heartburn, ask your doctor about heartburn surgery.